Paul Fromm explains how free speech and property rights took another hit at the hands of the Supreme Court of Canada in not hearing an appeal in the McCorkill inheritance and free speech case, which he discussed in previous videos with the host, Brian Ruhe. Paul is Director, Canadian Association for Free Expression and Winner of the George Orwell Free Speech Award, 1994. Just 48 hours before the New Brunswick Court of Appeals was to hear CAFE’s appeal against the decision of Justice William Grant, one of the three member panel Madame Justice Margaret E. Larlee recused herself. Her reason was that some 40 years ago she’d received a scholarship from the Leonard Foundation which offered assistance to White Protestant applicants. The appeal is crucial as Justice Grant of New Brunswick’s Court of Queen’s Bench overturned the will of Robert McCorkill who willed the bulk of his estate of old coins ans artefacts to the National Alliance in the U.S. The appeal is vital to freedom of belief and property rights. In May, 2013, after the anti-free speech U.S. group the Southern Poverty Law Centre (SPLC) protested the bequest, the long estranged sister, Isabelle McCorkell came forth and made an application (nine years after her brother’s death) to have the will overturned, as the bequest to a White nationalist organization was, she argued, “contrary to public policy.” This property rights cancelling argument was raised by Ottawa lawyer Richard Warman who echoed the SPLC complaint. Ms McCorkell was supported by some high powered and well financed interveners, the Attorney-General of New Brunswick, the Centre for Israel and Jewish Affairs and the League for Human Rights of B’nai Brith. CAFE intervened on behalf of the executor of the estate, “This is a vital freedom of speech, freedom of belief and property rights issue,” says CAFE Director Paul Fromm,. The decision came down the same week three Mounties were gunned down in Moncton. Mr. Justice Grant nullified the bequest. “He put a shotgun blast through freedom of belief and property rights when he overturned the will,” Mr. Fromm added. Somewhat earlier the Court Registrar advised all parties: “This is to inform the parties in this case that in the early 1970’s while a student at UNB Law School Madam Justice Larlee received a Leonard Foundation Scholarship. The Foundation was challenged some 10 years later in The Leonard Foundation Trust case, a case that will be cited in the one under appeal. CAFE’s lawyer received no notice of any objection. Lieutenant Colonel Reuben Wells Leonard (1860-1930) was a civil engineer, mine developer, soldier and philanthropist. He saw action in the Northwest Rebellion in 1885 and in World War I. In 1916, he established the Leonard Foundation. The appeal will be rescheduled to May or June. ST.JOHN, NEW BRUNSWICK. January 27, 2014. “Where is the McCorkill case being heard?” I asked the court officer just before 9:30 this morning here in St. John. “Is this our lucky day?” I wondered. 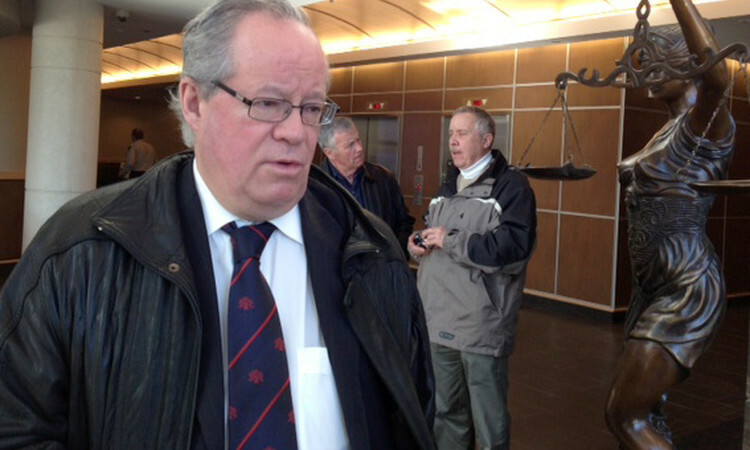 Moncton lawyer Marc-Antoine Chiasson led off the complainant’s case before Judge William T. Grant. He represents the long-estranged sister of the late Robert McCorkill who brought this current action to nullify the bequest. She turned up or was found after being silent during the nine years since her brother’s death, after the militantly anti-free speech U.S.-based Southern Poverty Law Centre (SPLC) found about about the bequest soon after the will was probated in May, 2013. The exceedingly well-funded SPLC, an arch enemy of the National Alliance, went on the warpath to stop the bequest. The only problem for them was that they have no legal standing in Canada. Ottawa lawyer Richard Warman was soon being quoted in the press commenting that the bequest should be nullified because I was contrary to public policy. Isabelle McCorkell [yes, different spelling] emerged and, although she claims to live on $1,000 a month hired a pricey Moncton law firm to obtain an ex-parte injunction freezing the assets of the will and then a further application to nullify the bequest. Piling in to support her were the Attorney General of New Brunswick , the League for Human Rights of B’nai Brith and the Centre for Israel and Jewish Affairs. “Sec. 318 and 319 of the Criminal Code prohibit ‘hate propaganda’ and the promtion of genocide,” he added. “Multiculturalism and equality are the linchpins of the Charter of Rights and Freedoms,” he said. The Charter, it might be noted, for all its talk of “equality” grants special privileges to favoured minorities. Mr. Chiason equated White self-preservation with White Supremacy. “We just can’t stop ideas at the border due to the power of the Internet,” he complained. 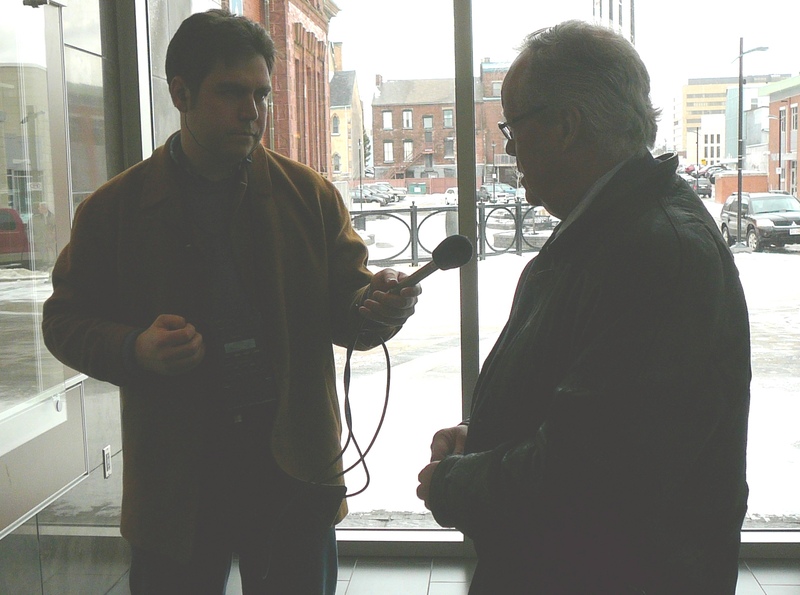 Next up was Richard Williams of Fredericton, representing the Attorney General of New Brunswick. “|Our only interest in this matter is our belief that the bequest is illegal and contrary to public policy,” he said. A strong voice for repression, he declared: “The theme of the Charter and human rights codes is that racism will not be allowed in this country.” He professed himself upset at the notion of “White living space”, although he made no mention of native land claims or special lands for Indians or Eskimos. “What you read in their Handbook,” she charged, “is we will recruit and build infrastructure for final victory. But you must read between the lines. A further danger of the National Alliance is a video game they produced called Ethnic Cleansing,” she added. She didn’t explain what it was about. “In the NA Handbook, they say: “The holocaust story in engineered by Jews or is full of exaggerations.’ This is contrary to Canadian values,” she insisted. In a country that does not have a Second Amendment to protect the right to keep and bear arms, Miss Fawcett was very critical of the NA Handbook urging members to have weapons for the defence of their family or to join the state militia, if necessary. The Handbook recommended a riot gun, a military semi-automatic rifle, a handgun and at least 500 rounds of ammunition. “The efforts to overturn Mr. McCorkill’s bequest pose a serious threat to freedom and personal property,” says Paul Fromm, Director of the Canadian Association for Free Expression (CAFE).”Is there now to be a ‘politically correct’ litmus test applied to bequests?” he asked. 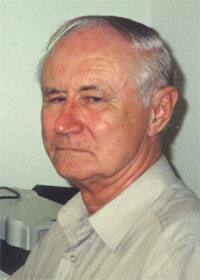 “Robert McCorkill lived in Saskatoon and Ottawa before moving to Saint John, where he died in 2004. The sister of a New Brunswick man who left a collection of coins and artifacts worth an estimated $250,000 to a neo-Nazi group in the United States has obtained an injunction. The court order temporarily blocks any distribution of Robert McCorkill’s estate or transfer out of New Brunswick, Ottawa-based lawyer Richard Warman stated in an email. McCorkill, who also went by McCorkell, left his collection to the U.S.-based National Alliance when he died in Saint John nine years ago, but the estate has remained unsettled. The ex parte injunction was obtained on Monday on behalf of McCorkill’s sister Isabelle McCorkill, who will be challenging the bequest on public policy grounds, Warman said. ‘I anticipate that other groups will intervene in support of the application in the coming days,’ he said. A far leftist blogger going by the handle BigCityLib confirmed the role of the busybody Richard Warman. “I’ve written about Robert McCorkell (or McCorkill) a few times. He was a Canadian chemist with White Nationalist leanings, and when he died he bequeathed $1,000,000 in ancient gold coins and other valuables to the National Alliance, an American hate/terror group. The collection itself is quite impressive: ancient Libyan, Roman, and Turkish artifacts. It would be a pity if it wound up helping to refinance American Neo-Nazis. Warman supposedly actually has a full-time job doing something or other at the Department of National Defence. He’s currently preparing for a mega libel trial where he’s suing neo-con bloggers Mark and Connie Fournier of freedominion.com. He’s also recently slapped Arthur Topham another of his victims (a Sec. 319 “hate law” complaint) with a threat of libel. Anyway, the mystery remains how he can manage so much all consuming litigation and still discharge his duties at National Defence. Free Dominion asserts that Warman has filed libel suits or threatened such suits against at least 60 parties in the past dozen years! In a later report, the National Post (July 26, 2013) expanded on the role of the newly found litigant, Mr. McCorkill’s long stranged sister Isabel, who apparently only now — 9 years later — has learned about his will and has developed an outrage at the money being left to a U.S. nationalist group: “Robert McCorkill left his collection to the National Alliance when he died in Saint John nine years ago, but the estate remains in dispute. Isabelle McCorkill, his estranged sister, is now arguing the will should be null and void. ‘We’re not taking any issue with how it’s drafted or anything like that. We’re taking issue with the specific gift to the National Alliance,’ said Marc-Antoine Chiasson, her Moncton-based lawyer. He contends giving nearly $250,000 to a white supremacist group violates Canadian policy and is against the law. ‘In our view, the gift would basically be financing a hate group, which flies in the face of what we stand for in Canada,’ said Chiasson. Mr. Ross points out that the long lost sister Isabelle has turned up and, although apparently impoverished, has been able to retain one of Moncton’s top laws firms — most convenient for the meddlers who’d like to nullify the bequest to the National Alliance. Isabelle McCorkell did not even attend her brother’s funeral. “The National Alliance paid for his funeral,” Mr. Ross, who lost his teaching position because of his anti-Zionist writings in the 1990s, explained. In the past week, John Hughes, lawyer for the National Alliance, has been assembling affidavits from National Alliance Chairman Erich Gliebe, Malcolm Ross and others who have knowledge of the estate. A further hearing will be held on Wednesday. Mr. Hughes will be arguing that the wishes of the testator should not be violated. He is also seeking to examine the newly emerged Isabel McCorkell. Her lawyer argued against it but the presiding judge is apparently going to allow it. The attempt to nullify the McCorkill bequest is a serious threat to freedom in Canada. That the state should be able to alter a will for political reasons is scandalous. Much rides on the legal efforts of National Alliance attorney John Hughes, defending the right of a person to will his estate to the persons or causes he chooses.